I only listed trips with spots still available. We limit our trips to 15 people on Rockfishing, 12 for Salmon and Halibut, and 10 for Tuna. 8 Responses to "Trip Schedule for 7/24- 8/7"
What is the schedule for 8/9? (We are hoping for rockfish.) Thanks! hi there! On the 9th it looks like we have 2 spots left on a rockfishing trip. We also have an afternoon rockfishing trip with more spots available tomorrow the 8th in the afternoon. Sorry for the delay in getting back to you! Our next salmon trip is on Friday the 12th and it is a half day (about 6 hours). The weather has been great lately without too much wind to create the chop, but any time it’s really hot in the Willamette Valley we get more wind here, so if that forecast it looking in the 90s or higher we usually expect some more choppy seas. 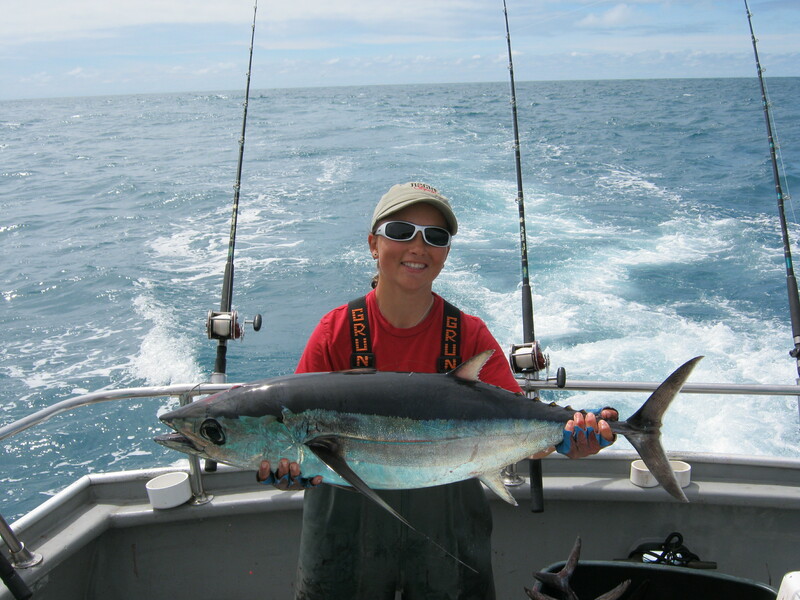 Tuna is doing great right now and bottom fishing is pretty steady, but still a little slower than usual. when u do your 12 tuna trips do u do from dock to dock or start the time when u get out thar an how long does it take to get out to the tuna spots? Dock to dock. Usually takes about 1 hour per 20 miles we go out and we go as far as 60 miles in a 12 hour trip. So if you were going maximum distance you’d have 6 hours of travel time and 6 hours of fishing time. Currently we’re going about 35-40 miles.